Julie Ødegaard in Food on 24 October, 2015. Past The Gates shopping centre, up North Road and on the left straight after Tesco Express nestles this modest café, only accentuated by a big, red sign that reads “JUMPING BEAN CAFÉ” –named with a reference to joy and coffee beans. When you enter, it feels as though you are walking into someone’s living room, with walls draped in locally crafted art and just the right amount of comfy chairs and snug nooks for you to sit back and unwind in. 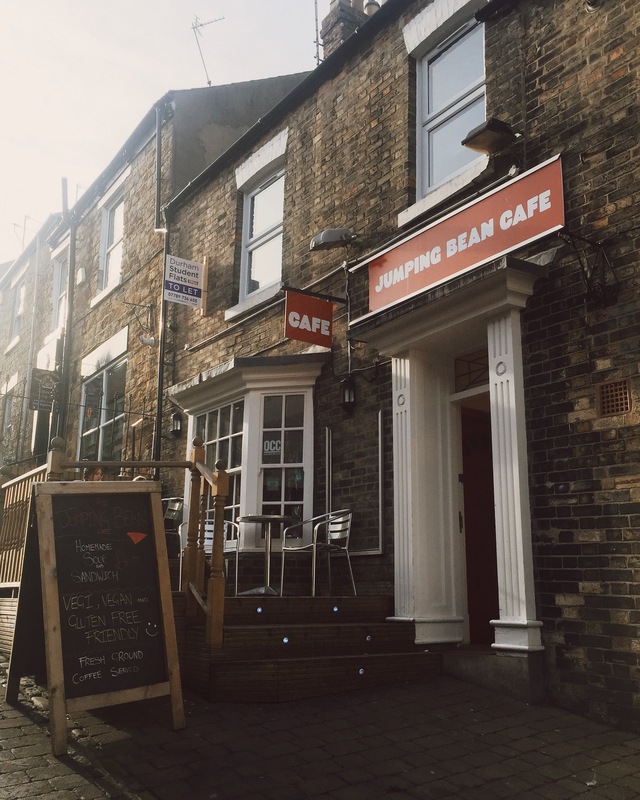 Loved by students, locals and customers from far and wide, this popular two-and-a-half-year-old establishment, in my humble opinion, has earned a spot as one of the best cafés in Durham’s city centre. I had my Americano black, a testament to my hard-core Scandinavian genes. The manager James and I were on the same page, “We use such good coffee that you get the full flavour when you drink it black.” The blend is a three-bean mix made by Newcastle-based Ouseburn Coffee Co., consisting of 40% Brazilian, 40% El Salvador and 20% Lington beans. Its strength and fruitiness definitely hit the spot. 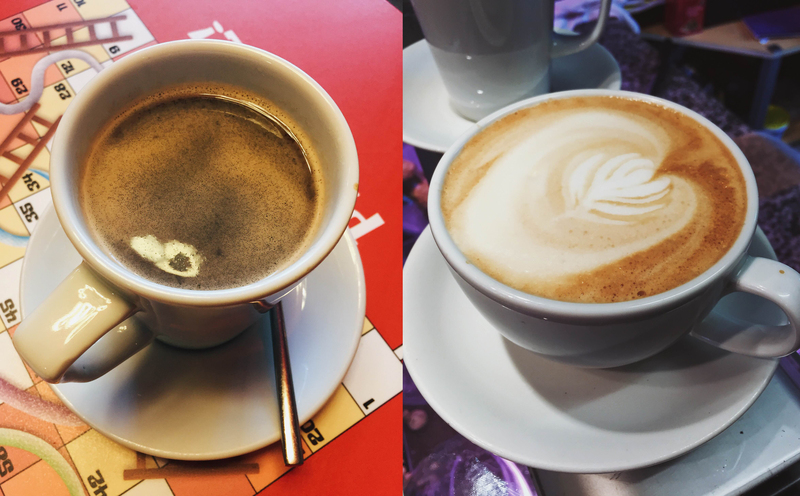 If you’re more of a milk-based coffee aficionado, Jumping Bean also offers the usual selection of flat white, cappuccino, lattes and more (naturally with dairy-free options). “It’s where it all starts, really: the coffee, then the cakes, then the food comes as a sort of by-product,” says James. Alongside coffee, the café has a range of teas and hot chocolate, with the Pan “Ooh” Chocolate (£4) being a favourite amongst my friends! Although drinks are a focus of the café, this by no means down prioritises the quality of the food. For sweet tooths, Jumping Bean offers a generous selection of scrumptious cakes, and amongst this, my go-to treat—coffee cake with peanut butter frosting. From being a guest cake until enough people had complained about it not being a regular on the menu, this heavenly bite is highly recommended! Treats aside, the menu’s breakfast section includes granola with natural yoghurt drizzled with honey (a personal favourite), and for those who crave something savoury to start their day, the café offers more inventive options such as its revamped English Breakfast-esque dishes with veggie sausages. In addition to this, Jumping Bean also carries a wide selection of toasties and sandwiches (with brown, white or gluten-free bread), all priced at £3.95. Personally, I’m a sucker for the classic Mediterranean vegetable and hummus sandwich, but for the more adventurous of you out there, the café enjoys thinking outside the box and offers a variety of unique savoury combinations including its marmite, cheese and veggie sausage toastie, spicy sweet potato pakora with caramelised red onion chutney toastie and Cajun pan-fried or tikka-rubbed tofu sandwiches. 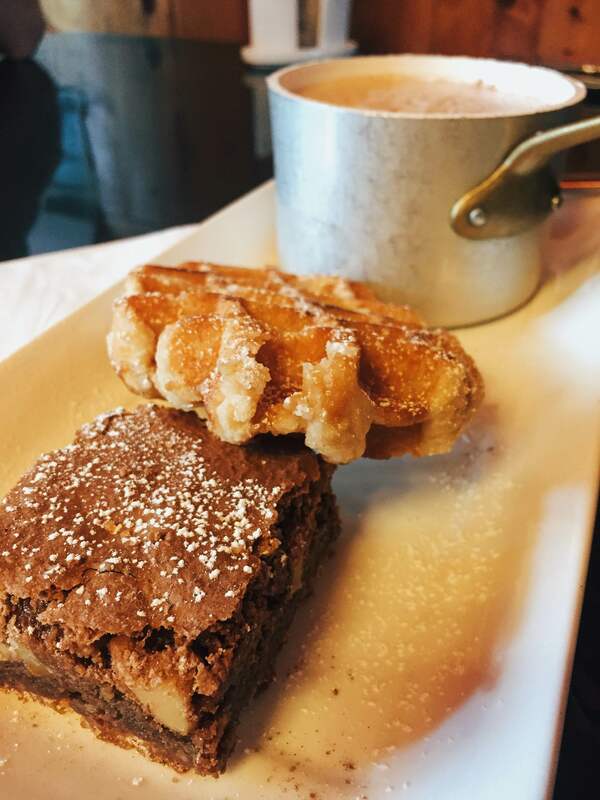 Whether you want to grab a bite to eat and a drink over a board game (the staff are Scrabble enthusiasts and are eager to start a tournament league with a leaderboard and prizes!) 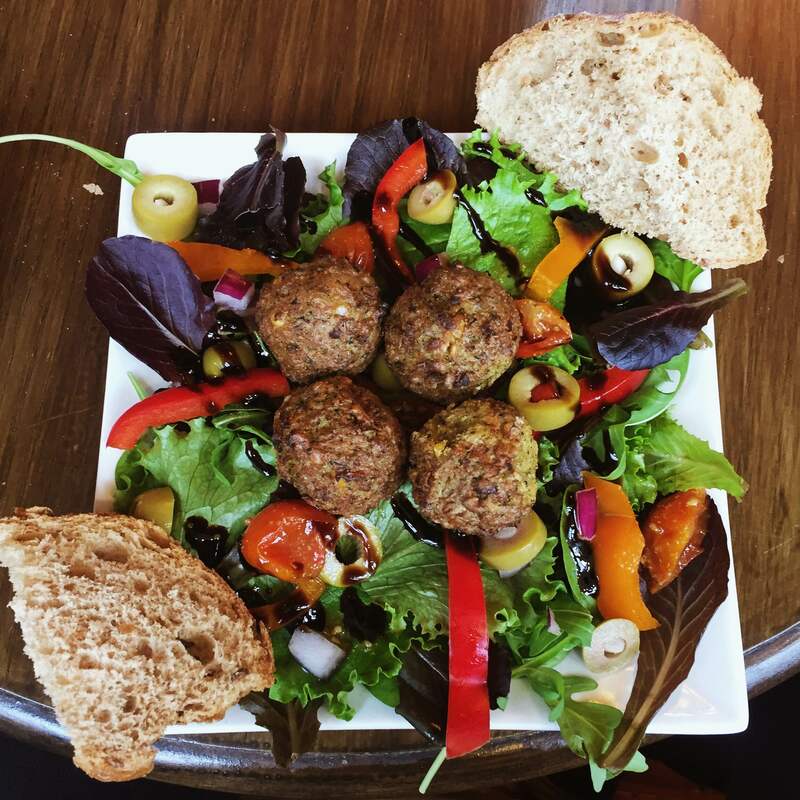 or desire to take a revision break and relax in a homely environment, Jumping Bean café is a great way to do all this (whilst also supporting a local business)! P.S. Jumping Bean recently started selling loyalty badges for £1, which gives you a 10% discount on drinks for life! For more information about the café, visit the Facebook page here.